Each massage you receive at Bodyworks is a unique experience. Your session will be catered to your needs that day and may include one or a combination of the techniques listed below. We encourage you to let your therapist know how your body is feeling and what kind of massage you are looking for so you receive the session that best suits you. The use of essential oils for psychological, emotional, and physical well-being. Smell is the most enduring of our senses and has the ability to transform our emotions and heal our bodies. 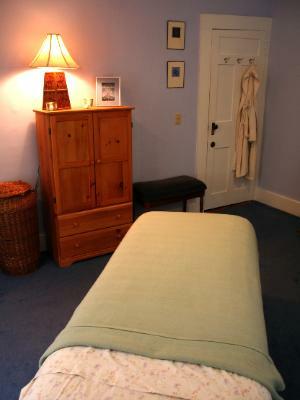 The vast healing powers of aromatherapy can be increased when combined with massage. This work is slow and deep in nature and focuses on lengthening, spreading, and differentiating, the fascial components of the body. Many receivers of this work describe it as a more intense session bringing about heightened awareness, increased flexibility, increased range of motion, and relief from chronic postural habits. This encompasses a wide range of modalities focusing on balancing and working with areas of congested energy that may arise from a variety of sources including muscle tension and emotional stress. Contact is made both lightly and deeply with the intention of drawing the client’s attention to patterns that may arise in the mind and body. Involves playing with the motions of the body through gentile rocking and the creating of waves. This work is deeply relaxing and helps to reeducate the nervous system on a profound level. A technique primarily designed to address myofascial pain and dysfunction. This work focuses on releasing the “knots” located within the muscles and works to interrupt pain cycles. This treatment literally means “finger pressure”. Natural body weight is used when pressure is applied on special points in the energetic pathways called meridians. By working the meridians, chi, or energy is moved. Wonderful stretches are included in this work which is primarily done on a mat on the floor. This blends techniques from many modalities to work with a particular athlete or anyone with repetitive stress issues or injuries. In working with athletes the goal is to increase their performance. One form of sports massage is a short session before and after an event to help prepare the body for the race, ride, or game. Increases circulation by moving blood and lymph. 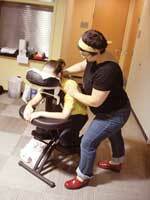 It uses a soothing manipulation of the muscles and other soft tissues to relieve tension and encourage relaxation.